These have spirit, yes they do! Cover your advertising bases and help your ticket sales fly with colorful Cheerleading Spirit Posters. 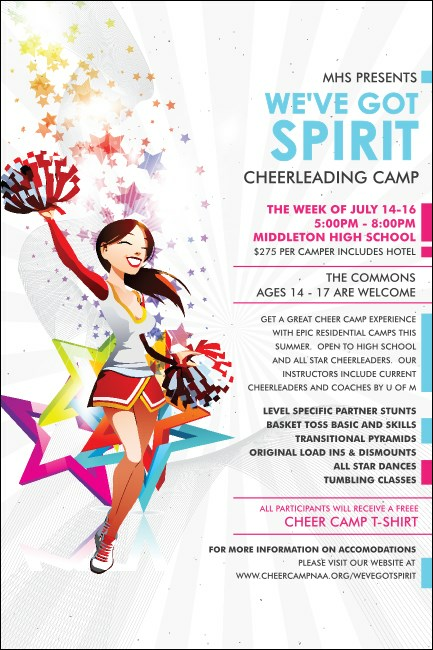 This Poster template includes a lively white background design with a smiling cheerleader in uniform holding red and white pom poms and surrounded by multi-colored stars. Promote your team spirit with TicketPrinting.com.